Apple iPhone 7 Plus, it is the smartphone of the year from Apple. It has 5.5 inches screen Full display with a resolution of 1080 x 1920 pixels. The screen has a cover of Ion strengthened glass, oleo phobic coating and 3D Touch display. It also has an IP67 protection bringing the new iPhone in line with the waterproof craze. The iPhone 7 Plus has a completely new camera system, and gains OIS Optical Image Stabilization, something the iPhone 6S missed out. Lastly, the iPhone 7 Plus has been groomed to launch its newest iOS 10, and it is a tremendous upgrade over iOS 9.3. It introduces a much smarter Siri that can command third party apps. The Apple iPhone 7 Plus 256GB Refurbished Mobile Phone was added to the Mobile Cell Phones category in December 2018. 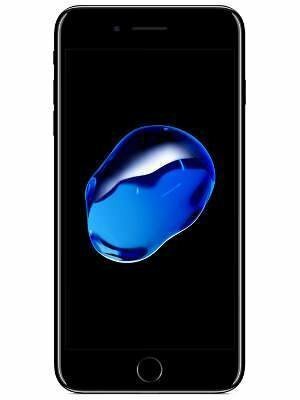 The lowest price GetPrice has found for the Apple iPhone 7 Plus 256GB Refurbished Mobile Phone in Australia is $749.00 from MobileCiti Online. Other merchants who stock it are MobileCiti Online, Allphones Online, Wireless 1.